MS GWENDOLYN GITTENS BRADSHAW better known as TANTY GWEN and GWENNIE of McCarthy died on Thursday 29th May at the age of 81. The funeral takes place on Saturday 7th June at the St Sylvian Anglican church. The body lies at the church from 2:30. The service begins at 3:00. Burial will be at the Church Yard. MR CALVIN VIBERT LAVIA better known as CADRIN and DADDY of Owia died on Wednesday 28th May at the age of 81. The funeral takes place on Sunday 8th June at the Hope Baptist Church at Owia. The body lies at the church from 1:30 p.m. The service begins at 2:30. Burial will be at the Owia Cemetery. MS ELMINA VERONA POMPEY of Largo Height died on Wednesday 28th May at the age of 74. The funeral takes place on Friday 6th June at the St. George’s Cathedral, Kingstown. The body lies at the church from 2:00 p.m. The service begins at 3:00. Burial will be in the Church Yard Cemetery. MRS VETA TRUMPET nee ALLICK formerly of Questelles died in England on Sunday 25th May at the 75. The funeral takes place on Thursday 12th June at the Union Baptist Church, Easton Street, High Wycombe, England. The service begins at 1:00 p.m. Burial will be at the High Wycombe Cemetery, England. MRS DORLEY EMOLISA RYAN nee GRANT better known as TEACHER RYAN of Campden Park formerly of Park Hill died on Monday 2nd June at the age of 54. The funeral takes place on Sunday 8th June at the Park Hill Evangelical Church. The body lies at the church from 1:00 p.m. The service begins at 2:00. Burial will be at the Park Hill Cemetery. MS VIRGINIA DASOUZA better known as ADONA RYAN of Mesopotamia formerly of Park Hill died on Tuesday 27th May at the age of 85. The funeral takes place on Sunday 8th June at the Kingdom Life Tabernacle, Mesopotamia according to New Testament Rites. The body lies at the church from 1:30. The service begins at 2:30. Burial will be at the Dumbarton Cemetery. MRS JOYCELYN KIRBY of Barrouallie died in New York on Saturday 17th May at the age of 79. The funeral takes place on Saturday 7th June at the Barrouallie Anglican church. The body lies at the church from 2:00. The service begins at 3:00. Burial will be at the Church Yard. 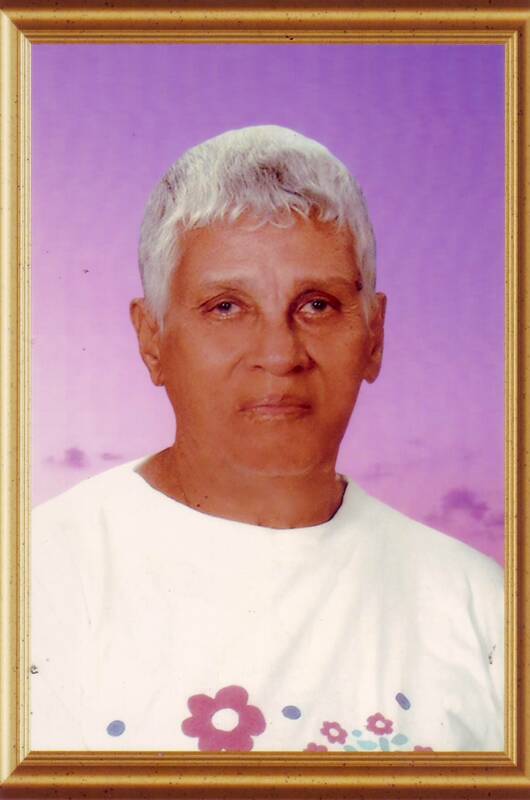 MR EVANS SOLEYN BAPTISTE NERO better known as BROTHER NERO of Sandy Bay died on Wednesday 21st May at the age of 86. The funeral takes place on Sunday 8th June at the Sandy Bay Seventh Day Adventist church. The body lies at the church from 1:00. The service begins at 2:00. Burial will be at the London Cemetery. MR EGLAN ORLANDO HARRY of Arnos Vale and Upper Cane Hall died on Tuesday 20th May at the age of 49. The funeral takes place on Saturday 7th June at the Belair New Testament church. The body lies at the church from 1:00. The service begins at 2:00. Burial will be at the Belair Cemetery.